Oh my but it’s cold up here in the North; and soup seems to be the “go to”meal to keep the chill off! But when your soup bowl has runneth over and you need a change, try my Winter Wonderland Casserole. 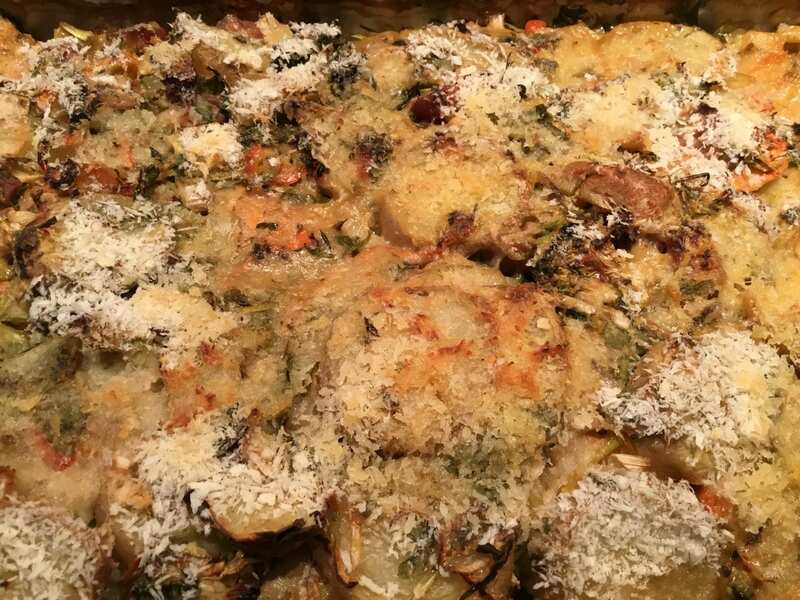 My Winter Wonderland Casserole is chuck full of golden organic potatoes, organic shallots, leeks, carrots and healthy organic broccoli. My Winter Wonderland Casserole is flavored with naturally cured heritage ham and wrapped up in a rich Alfredo sauce laced with flat leaf parsley! 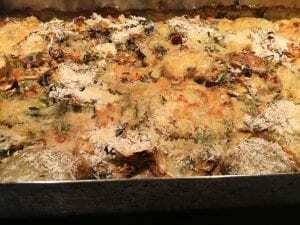 My Winter Wonderland Casserole is real “up north” comfort food! You can make this casserole without the naturally cured ham for a vegetarian rendition; just add greens and more vegetables if you like. You can substitute the ham with chunks of chicken or turkey breast for another variation. However you make my Winter Wonderland Casserole you are sure to feel the comfort! Enjoy! A rich Chardonnay is perfect! This meal is pure comfort from the cold!